More and more #Ukrainians are focusing on #sustainability and opting for #photovoltaics. In Ukraine, the number of private #households that switched to #solar #energy nearly doubled in second quarter of 2018. Most of the private solar installations were built in Kyiv, Dnipropetrovsk and Ternopil regions. The use of solar panels is becoming more popular with the population. In second quarter of this year, 1,107 households have switched to electricity generated from solar energy, which is twice as many as in first quarter of this year. A total of 4,660 households have installed solar panels with a total capacity of almost 90 MW by the end of the first half of 2018, as stated in the press release of the Cabinet of Ministers of Ukraine. The investments amounted to around EUR 88 million. Such regions as Kyiv, Dnipropetrovsk and Ternopil were leading in the number of PV installations. By contrast, in second quarter of 2018, Kherson region was the market leader in the construction of large-scale solar plants. 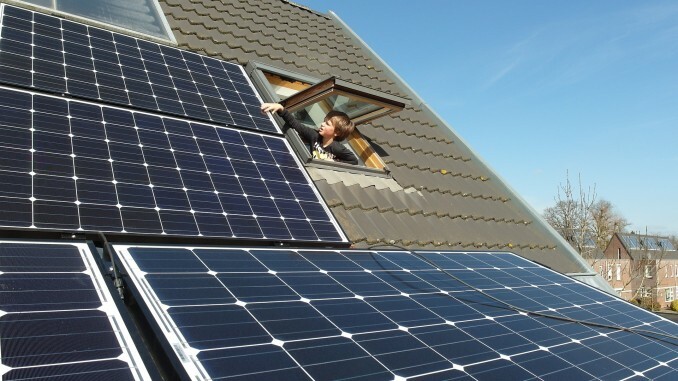 According to the head of State Agency on Energy Efficiency and Energy Saving of Ukraine Sergiy Savchuk, the activity of the Ukrainian households shows that the incentive introduced in June 2015 was vastly efficient: the feed-in tariff (so-called “green tariff”) for private PV systems with a capacity of up to 30 kW. Photovoltaics noticeably gained popularity over the last three years. For comparison’s sake, around 2,000 households installed solar systems in 2017, twice as many as in 2016. In addition to the obvious benefits of PV systems for the population, solar cells installed by households are an excellent example of implementation of decentralized power generation, which has a positive impact on grid operation. Moreover, the high demand for solar cells shown by households is stimulating companies to increase relevant production capacities in Ukraine. For example, a Ukrainian plant producing solar cells for the households and businesses, based in Enerhodar (Zaporizhia region), started operation in March 2018. This will create additional jobs, intensify business activity in related industries, and provide contributions to the local budget.